Our professional and diligent team is dedicated to you and optimizing your experience with your electronics at home and in the workplace. Just because the technology is complicated, doesn’t mean your life has to be. And, on a less-serious note, we are fun! We love electronics, TVs, stereos and technology and are just as excited as you are about the customization of your home using the latest and greatest in automation technology. We want to see your face light up and hear you say, "Wow, that is AMAZING." When you work with Hive you’re not only receiving the most affordable, personalized and hi-tech innovations – you’re making life better for your family and friends in your home or business. Since 1994, Synergy has been providing security, safety, comfort, convenience and entertainment systems to Florida homes and businesses. Family-owned and based on Christian values with top-notch customer service, we aim to go beyond your expectations by providing the industry’s best outdoor living and integrated technology systems. We are dedicated to building relationships for a lifetime of service. Outdoor Living: In Florida, outdoor living is a way of life. 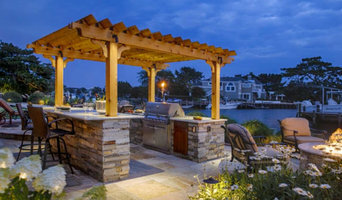 Synergy brings together the best grills and outdoor kitchen components to create a stunning environment for cooking, relaxing and entertaining. We customize your space to suit your lifestyle including kitchen islands, fire features, water features, furniture, pergolas and pavers. Add brilliant landscape lighting and crisp outdoor audio to bring the ambiance together. With so many design options, we understand making a decision is difficult. Your Exterior Designer will provide you a FREE estimate which includes complimentary 3D mock ups from our industry leading design software. You will be able to visualize your project before construction even begins. Security and Smart Home Technology: As a leading smart home technology provider, Synergy offers home security, energy management, home automation, and custom AV solutions that save you time and money and ultimately simplify your life. Our engineers and technicians have hundreds of combined years of experience. We know the details that go into installing home technologies so we ensure that all systems perform together seamlessly for each homeowner’s unique needs. 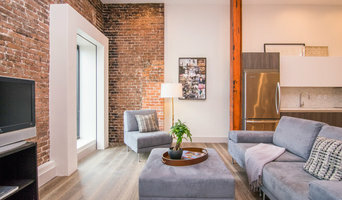 Builder Program: Synergy is raising the bar on what should be expected from a low voltage integrator— improving the technology options buying experience for home buyers and helping builders construct a truly customized home. From structured wiring to lighting control, security, home entertainment systems and proven home control technologies, we want to be your partner for all your home buyers’ technology needs. Custom Home Integration Smart House Technology. We pride ourselves in customer care and service. With over 30 years of experience or staff is knowledgable in our industry. We specialize in design, sales and installation of Home Electronics and Accessories. As most of our projects come from referrals. We also work with builders, architects, designers and decorators to design and provide a system that is customized to your specific needs. Weather you are planning on remodeling your current home or building a new home, you can rely on DSI Electronics to design a system that is the right system for you. Hoppen Home Systems is owned and operated by Jason Hoppen. The company started in Ansonia, CT in 2003. A year later the company relocated to Tampa FL where it has been operating ever since. While it started as a one man operation, today we have five dedicated installers, an operations manager and a sales staff. It takes a great team to make Hoppen Home Systems successful and I am very grateful to have these talented employees working at Hoppen Home Systems. To all our existing and future clients, I would like to personally thank you for supporting Hoppen Home Systems. We have some of the best clients which make everyday a blast for us. We have been blessed by a few of our clients who have gone above and beyond by providing access to showcase the work done so future clients see our quality work and home automation in action. It is a tremendous resource and I truly appreciate all the support you provide Hoppen Home Systems. Now it's your turn to experience Hoppen Home Systems! At Magnolia, we're dedicated to one thing: 100% customer satisfaction, offering premium audio, video and home automation solutions to connoisseurs who demand nothing but the best. With our premium selection of brands, dedicated staff of System Designers, Project Managers, Engineers and Installers, and our inspirational showroom environment, we're ready to turn your home entertainment dreams into reality. From inspiration to installation, we're with you through every step of your home entertainment journey, so that years down the road, you love your gear as much as the day it was first installed. Style, vision and the perfect install, that's your Magnolia Design Center. At Wicked Smart Homes, we believe technology should be inviting, not intimidating. We are founded upon the basic principle that technology should be practical, accessible, and most of all, fun! Our smart home systems aren’t merely custom designed marvels of cutting edge technology, they also happen to be the most user friendly and intuitively simple systems to operate. We do this to insure our systems fit into your life, as easily as they fit into your décor. Discover how Wicked Smart Homes can make your home more luxurious, more secure, and more entertaining than you ever dreamed possible. Signature Specialty Contractors Inc is the Sunroom & Outdoor Company in Riverview fl building sunroom and outdoor projects.Signature Specialty Contractors provides concrete work for any sunroom, screen room, or pool cage project. Our team has been in the audio video integration industry for over 20 years. We have completed a variety of projects in ultra high-end residential homes and mega yachts worldwide for some of the most demanding clients. We are experienced in every facet of lighting control, Flat screen/LED TV installation, home theater, surround sound, home automation, network, security, and remote access projects and have been involved with nearly every related trade. Your complete satisfaction is our goal and great care is taken to provide the meticulous work we feel you deserve. EloDesigns is a current and active member of Custom Electronic Design & Installation Association (CEDIA). We are a small business dedicated to providing the best service and great experience in any of your audio, video, or security needs. We strive to be one of the most honest and affordable audio, video, and security company around due to the fact to hard to find a trustworthy company. We have a total of 15 years experience and we can design and engineer home automation systems ranging from 2000 to 20000 square foot houses. There is no big or small job that we cant handle. Call us for all of your audio, video, and security needs. Addison AV is a small audio and video company serving Polk County, FL. We provide sales, service and installaion of audio and video products for your home or business. We also offer FREE in-home and in-business consultations to help serve you better. We are proud to provide Home Theater Installation for Lakeland, FL and it's surrounding areas. Nucleus was born from a desire to provide the perfect customer experience. From our sleek project management system to our focused, hands on approach, Nucleus promises prompt response times and lightning quick installs. Don’t deal with contractors that can’t call you back or snake oil salesmen trying to make a quick buck, let Nucleus turn your project into what it should be – a stress free experience. Always on time, knowledgeable technicians assist you every step of the way as we build your dream. Home media specialists not only can design the seating and decor for your dream home theater, but most of them can help you find specific media control options, conceal your television and various accessories, set up optimal seating, choose and install ideal lighting, and help create the ultimate viewing environment. Some of these Florida professionals work entirely on their own, while others work with subcontractors to get the job done. Here are some related professionals and vendors to complement the work of home automation & home media: General Contractors, Interior Designers & Decorators, Paint & Wall Covering Dealers, Furniture & Accessories, Specialty Contractors. Find a home media designer on Houzz. Narrow your search in the Professionals section of the website to Saint Petersburg, FL home media designers. You can also look through Saint Petersburg, FL photos by style to find a room you like, then contact the professional who designed it.